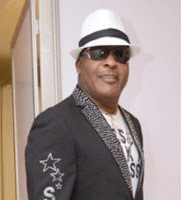 SHINA PETERS DRUMMER DAZZLES AT ONE-LAGOS FIESTA! You’ve never seen anybody go berserk on the drums like Shina Peters’ drummer. You think you’ve seen it all, but you’ve never seen anybody go berserk on the drums like Shina Peters’ drummer did at the Victoria Island venue of One Lagos Fiesta yesterday night. Known for his electrifying dance steps and eclectic outfits, Sir Shina Peters took the spotlight off himself when he put the microphone over the konga drums and asked the drummer to play on. At some point, he told the drummer, ‘Use your head!’ And the latter obliged, to the delight of the crowd at the Victoria Island Bar Beach. Watch the drummer’s thrilling session in the clip above. Meanwhile, One Lagos Fiesta continues today in five centres across Lagos: Agege, Badagry, Epe, Ikorodu and Victoria Island. The grand finale is holds December 31 and will ring in the new year, 2017.